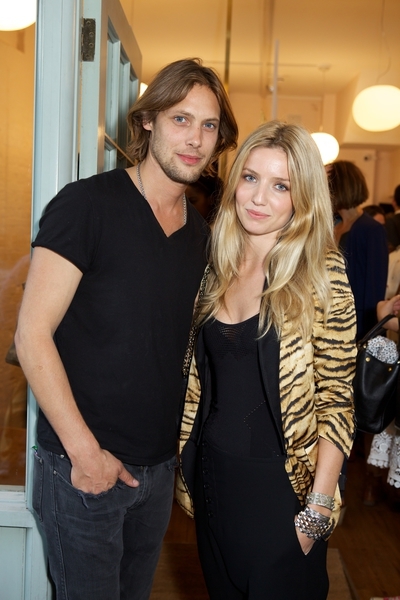 Yesterday I was invited along to preview Mischa Barton’s new store in London’s East End. Now, as you may gather, going any further than WC1 on the central line gives me the shudders but for Ms Barton, I took the schlep East alongside the lycra clad masses on their way to Stratford for that ‘other’ event. Spitalfields is a mass of newness and of individual boutique stores jostling next to brasseries and organic cafes. Mischa chose her location well as the vintage, kooky, West London edge with East end attitude store style and layout meets the target market square on as well as providing a respite for West London boho types venturing East. When I spoke with Mischa she said that as she’d grown up in the spotlight, she’d known nothing else but has always had a very strong sense of her own style and identity and works with stylists to bring that through in her personal style – always championing small individual brands (such as J Brand etc) as well as her beloved Prada, Miu Miu, Helmut Lang, Alexander Wang and Chanel. Mischa’s iPhone cases are sure to be a hit. Individual, stylish and girly, these have enough character and aplomb to be carried in the most elegant of designer handbags. Talking of which, Mischa’s range is amply shown in store alongside her collection of vintage meets military inspired pieces. There’s enough spangle, lace and jingle jangle here to please those seeking star style though some of Mischa’s strongest pieces are the pared down foil knit sweaters and sheer shirts. 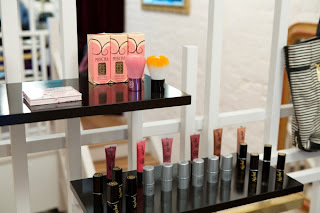 Also of note is Mischa’s cute make-up line (very Benefit meets Paul & Joe in style) and body and bath range with four different scent options. 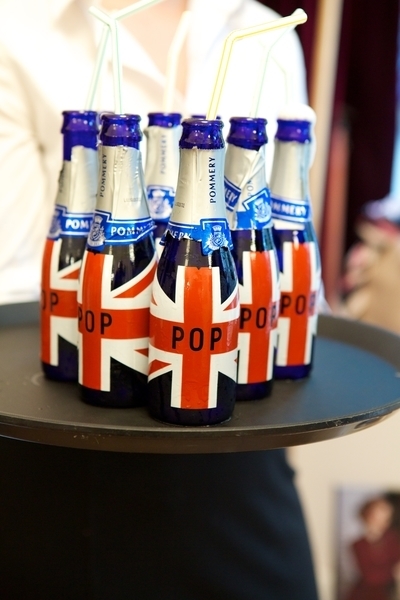 Mischa did a quick change to welcome her guests at the store’s launch following the preview. Looking chic in an urban styled black tuxedo with scarlet lips, Mischa invited friends including James Middleton, who had prepared and hand-delivered cupcakes for the 200-strong party of fashion editors, social faces, close friends and family. Nuela Barton, Mischa’s mother, was in attendance and was suitably proud of Mischa’s range while Mischa surprised the party invitees by taking over the microphone from up-and-coming musical artist Connan Mockasin, who recently toured with Charlotte Gainsbourg and Noah & The Whale with considerable acclaim. The throng drank Olympic-inspired, Pommery ‘Pop’ bottles of champagne alongside specially blended ‘West Coast’ and ‘Mischa’s Gold’ cocktails, specially produced for the starlet by Johnnie Walker Gold Label Reserve. Mischa then sped of to London’s top hot spot of The Games, members-only OMEGA House, to continue the party. Mischa’s party guests included James Middleton, (actor) Sebastian Knapp, Tolula Adeyemi, Mason Smillie, James Rousseau, The Hon Emily Lopes, The Hon Louisa Lopes, Edward Taylor, Daniel Alexis, Annabelle Wallis, Antalya Nall Cain, Molly Whitehall. Mischa Barton’s store is at 53 Bushfield Street, London E1 6AA. Or, see her website.